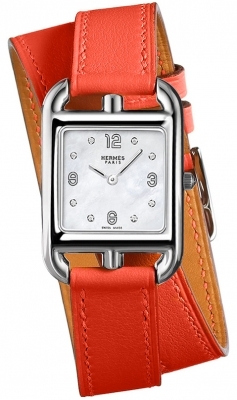 Smooth orange cafskin leather strap with a tang/pin buckle. 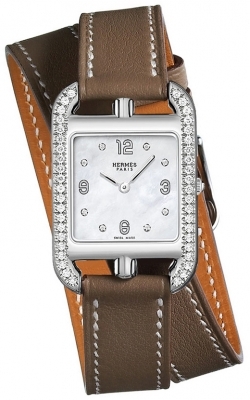 White mother of Pearl dial. 8 diamond hour markers and silver colored Arabic numerals. Luminescent hour and minute hands. Solid screwed-in case back adorned with the Hermes logo.